then you must be GENIUS. Share with your friends and family and find out who has the potential to become a Detective ! This probably seems a Murder. 1. All things in the room are scattered as someone was in a fight here. 2. 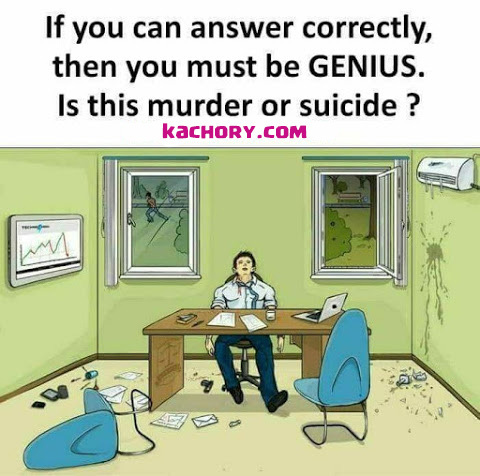 The Mug and Laptop are on the left side which indicates that the person was left handed but the gun is on the right side which is highly improbable if it was a suicide. 3. One of the window is open and we can see a man running in the other window. (may be the murderer. Can you find more reasons to support the murder mystery?